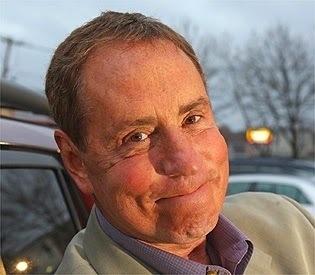 Suite Sports: Bob Lobel: Is It Ever a Happy New Year? Bob Lobel: Is It Ever a Happy New Year? In the beginning we insist on wishing people we don’t know, never want to know, and never ever will look up and make eye contact with, a happy new year. We wish it because we know it is just whistling past the grave yard. There is no dreaded commitment to making someone's new year happy. Based on year after year of personal experience and the body of knowledge that goes with it, there is no such thing as a happy new year. So do the best you can with the impending disaster. Hell, what would a happy new year look like anyway? Got me! No clue! It’s a day to day proposition unless you’re the Celtics, and then, it's decade to decade. For the Patriots, their dynasty lives on. The perception is there for them, no matter what happens from here on out, that they are the top team that, for now, is good enough to create winning expectations every time they play. However, fans and media alike are trained to look for cracks in that fortress. Those cracks being an aging quarterback and a coach that goes with him. Now, that’s a crack. Ironically, most other teams don't worry about cracks. They have holes. Big ones. They would embrace a crack. Back to this year, If the invincible Patriots should not be able to get to Super Bowl XLIX. No Roman numbers after this year anyway. Whatever! Happy New Year, Roger Goodell! 2014 wasn’t your year, it seems, from the very beginning with Ray Rice to a boy named Suh. Just can't get it right. I would like to make the really bold statement that football is a sport on the way out. “Wouldn’t let my son play football” is the new year's resolution for many. Lots of folks are buying into dot connecting, because they see the pool of players drying up if so many parents are pushing their kids to play other sports. So, Happy New Year. For now, those of us with super teams in the playoffs are a little on edge. The Patriots' fans know both sides of that equation. The point is, as in any sport having to win multiple games for a title, it's more important to be one of the two last teams playing than it is to win it. Like ushering in a new year, being there is the key. So I guess congratulations. You’ve made it to 2015. Next year at this time we will be fed up with 2015, and delude ourselves into believing 2016 will somehow be better!